Find out about the different employer events, skills development workshops, and careers fairs that the Careers Service organises throughout the year. The Careers Service organises a range of presentations and workshops with employers and Careers Advisers. Events are open to all undergraduates and postgraduates. Some sessions can help towards the Bath Award, and are marked in the programme. the training and progression you can expect. succeed in the selection process. These event types will only be visible if an event of that type is currently available for bookings. If we don't have enough people signed up, events will be cancelled! 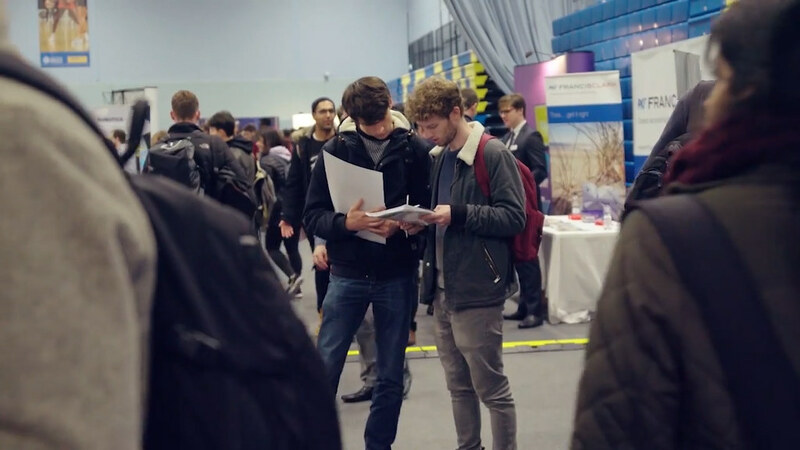 The Careers Service hosts several fairs throughout the year. The Autumn fair is an opportunity to find out what some of the big and smaller employers are offering for all years and all degree subjects. You can gather information and use it to your advantage when making your applications, as well as getting an early feel for whether a particular employer is going to be right for you. This fair now delivers an All Disciplines day on Thursday and a STEM day on Friday. You will need to download the App CareersFairPlus to view details. The 2018 Fair happened in October and the App still holds the past fairs details. The Summer Opportunities Fair is your chance to meet with organisations offering paid work, voluntary and travel opportunities in summer 2020. The 2018 fair happened in November. The 2018 Fair happened in October and the App still holds the past fairs details. The University of Bath aims to provide accessible venues for events. If you are planning to come to any of our events or fairs and you have any special support needs, please let us know in advance. If you are an employer interested in hosting an event or attending a careers fair, you can find out more on our employer pages.